Online casinos exist to allow players to have fun with others and possibly win money, as well. In order to ensure that everyone is able to enjoy themselves, table limits are often imposed. 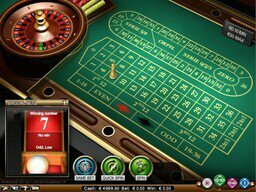 This means that there are minimum and maximum bets to which players must adhere. While slot and video poker machines generally allow players to designate the amount of their bets within a broad range, table games impose stricter table limits due to the multiplayer setting and the varying budgets. For instance, in a game of blackjack, there may be a low-limit table with bets between $1.00 and $5.00 and a high-limit table with bets between $50.00 and $500.00. This way, everyone can find a table that best fits their budget. Without table limits, including a limit on the pot, the players with the most money could easily bankrupt their opponents in just a single hand. Think of it like this: if a player with a $1,000.00 bankroll has one good hand and goes all-in in a game of poker against a table full of people with $100.00 bankrolls, they will all be wiped out and unable to play any further. Table limits pit players with similar bankrolls against one another. There is absolutely no way to exceed table limits in land-based or online casinos. Dealers in bricks-and-mortar casinos will not allow any bets above the maximum; neither will the software in online casinos. When playing online, players who wager lower than the minimum will be notified and their bets will immediately change to the minimum. Players who bet more than the maximum will see a pop-up notification telling them to change their bets. Though table limits may seem like a way to prevent players from betting as they please, there are real reasons behind them. They are not there to allow the casino to make more money; they are there to protect the players.